Perrine, Stratenschulte, Smith, and Hawksley win prizes in the annual SportsShooter.com Contest sponsored by Canon. 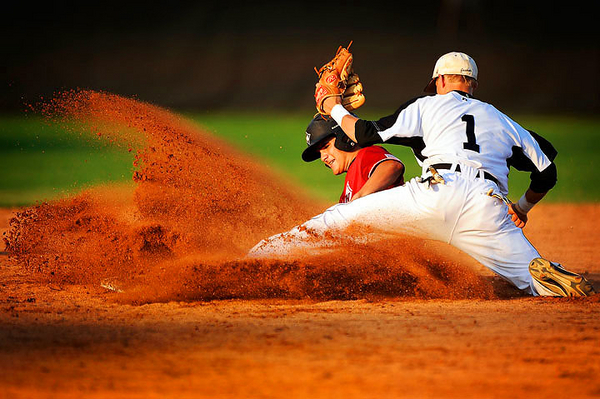 This picture won first place in sports action in May of 2010. Corey Perrine, a staff photographer for the Augusta Chronicle, is the 2010 SportsShooter.com Photographer of the Year. Perrine collected 360 points in the SportsShooter.com Clip Contest, more than enough points to claim first place, and the top prize, a Canon EOS-1D Mark IV camera. The "Clip Contest" is a year-long series of monthly contests, sponsored by Canon, in which photographers submit their best photos from the previous month to be rated by fellow SportsShooter.com members. "If you would have asked me at the beginning of 2010, "You think you'll win sportsshooter.com this year?" I would have thought you were crazy and told you, "Yeah right." -- It's just one of those contests so big, with so many people, with quality monthly work, it's almost a pipe dream," Perrine said. Perrine, who recently made the move to Augusta from New Hampshire, where he worked for the The Nashua Telegraph, said he spent the first few months of the year getting settled, and "finding his rhythm." "When the summer hit I saw July and August as huge successes," he said. "You know what they say, "When it rains it pours." So I just rode the wave as far as it would take me. Because I didn't know when the next one would come. Fortunately It carried me through to about Nov. When I had a good feeling of where the pack was." 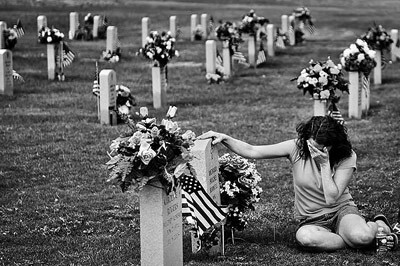 This image won the Shooters Choice Award in May of 2010. "Contests really are a crazy thing," Perrine said. "They aren't the only measuring stick of the depth of a documentary artist. On one hand you don't want to shoot to win. But, I've found if you love the people, love the community, love the stories to tell, contest wins can be the residual effect of consistent work." "I'm humbled. Honored. And still a little bit in disbelief of what just happened," he said. "2010? Really? You were too kind to me." The year 2010 was also kind (at least in contest-winning form) to Julian Stratenschulte, a photographer based in Germany who won 2nd place, and Patrick Smith, a freelance photographer currently based in Baltimore who took third. Joel Hawksley, a student at Ohio University, was the student with the most points in the contest, and wins the title of "SportsShooter.com Student Photographer of the Year." His prize is a Canon EOS 5D Mark II camera.